Hanukkah has begun and Christmas is right around the corner. While you’re celebrating, remember there are plenty of ways to enjoy the season in the cities, towns and villages of the 88th Assembly District. Here’s a closer look at some of the events that are taking place. Remember that if you have an event that you’d like me to include in the coming weeks, send the information to Paulina@NYAssembly.gov. Patti Wood will address the Scarsdale Forum about the environment and health-related issues at the Scarsdale Library (54 Olmstead Road, Scarsdale) at 8 p.m. Refreshments will be served at 7:30 p.m. Wood will focus on the significant and growing use of pesticides and the link they have to health issues. Visit scarsdaleforum.com for more information. The Beth-El Synagogue Center (1324 North Avenue, New Rochelle) will host Rabbi David Schuck and Rabbi Zach Sitkim along with Dr. Carol Diament for a 9:30-a.m. discussion that will compare Jerusalem in biblical and rabbinical sources with Jerusalem in modern Israeli literature. Visit bethelnr.org for more information. The Westchester County Department of Senior Programs and Services will host a guidance program on county services for seniors at the Scarsdale Library (54 Olmstead Road, Scarsdale) from 9 a.m.-3 p.m. Visit scarsdalelibrary.org for more information. The New Rochelle Little Beehive Holiday Market will be open from 4:30-7:30 p.m. at the New Rochelle Train Station (1 Penn Central Railroad Plaza, New Rochelle). There will be local vendors on hand for the city’s new holiday outdoor market. Visit newrochelledowntown.com for more information. The Bartow-Pell Mansion Museum (895 Shore Road, Pelham Bay Park) will host a Teddy Bear tea from 11:30 a.m.-1 p.m. Visit bartowpellmansionmuseum.org for more information. Sarah Lawrence College (1 Mead Way, Bronxville) will present “A Gamelan Ensemble Performance” at 7 p.m. A gamelan angklung is a bronze orchestra that includes four-toned metallophones, gongs, drums, and flutes. Visit sarahlawrence.edu for more information. Scarsdale Synagogue Temples Tremont and Emanu-El will host a Menorah Lighting Celebration at Stew Leonard’s (1 Stew Leonard Drive, Yonkers) at 5:30 p.m. There will be a traditional Chanukah* sing along followed by latkes, hot cocoa and jelly donuts. Visit sstte.org for more information. Liz Kemble, the founder of Travellati Tours, will speak from 7-8 p.m. at The Pelham Library (530 Colonial Avenue, Pelham) about Picasso, Braque, Matisse and Gris and their time in Céret, a town in the French Pyrenees. Visit pelhamlibrary.org for more information. The Bronxville Library (201 Pondfield Road, Bronxville) will continue its Thursday Matinee Movie Series with a 1:30-p.m. presentation of “Dolly Parton’s Christmas of Many Colors”. Visit bronxvillelibrary.org for more information. The Westchester Sandbox Theatre will present “Once Upon A Hanukkah” at The JCC of Mid-Westchester (999 Wilmot Avenue, Scarsdale) at 7 p.m. There will also be shows at 1 and 4 p.m. on Sunday. Visit wstshows.com for more information. The Westchester Reform Temple (255 Mamaroneck Road, Scarsdale) will host its annual Community Outdoor Chanukah Candle Lighting (Fourth Candle) at 6:15 p.m. Visit wrtemple.org for more information. The Woman’s Club of White Plains (305 Ridgeway, White Plains) will hold its annual Holiday Boutique and Dinner from 6-8:30 p.m. There will be wine, shopping, dinner and more with the proceeds going to The Playgroup Theatre. Visit womansclubofwhiteplains.org for more information. The Scarsdale Task Force on Drugs and Alcohol will hold a community meeting at Scarsdale high (1057Post Road, Scarsdale) beginning at 9 a.m. Visit scarsdaleschools.k12.ny.us/domain/764 for more information. The Westchester Ballet Company will perform The Nutcracker at The Westchester County Center in White Plains at 10 a.m. There will also be shows on Saturday (12:30 and 4:30 p.m.) and Sunday (2 p.m.). Visit countycenter.biz for more information. The Immaculate Heart of Mary Church (8 Carman Road, Scarsdale) will host its annual Christmas Fair between 8:45 a.m. and 3p.m. in the Lower Church. There will be shopping, a bake sale, games, food and more. Visit ihm-parish.org for more information. Scarsdale Synagogue Temples Tremont and Emanu-El (2 Ogden Road, Scarsdale) will host “A Sermon in Song – Lighting Up The Darkness” Shabbat service in conjunction with Shaarei Tikvah from 8-9:30 p.m. The combined choirs of both congregations will perform. Visit sstte.org for more information. Temple Israel of New Rochelle (1000 Pinebrook Boulevard, New Rochelle) will host a Community Shabbat Chanukah Dinner & Celebration at 7 p.m. Visit tinr.org for more information. The Joey Berkley Quartet will perform at Alvin & Friends Restaurant (14 Memorial Highway, New Rochelle) from 7-10:30 p.m. Visit alvinandfriendsrestaurant.com for more information. The Scarsdale Library (54 Olmstead Road, Scarsdale) will continue its Foreign Film Series with a 1:45-p.m. presentation of Lore, the story of five German children who undertake a journey of self-discovery after their staunch Nazi parents are captured by the Allies near the end of WWII. Visit scrasdalelibrary.org for more information. The Playgroup Theatre (1 North Broadway, White Plains) will present “James and the Giant Peach” at 8 p.m. and on Sunday at 2 p.m. Visit playgroup.org for more information. The Westchester Sandbox Theatre will present “A Fairytale Christmas Carol” at The JCC of Mid-Westchester (999 Wilmot Avenue, Scarsdale) at 4 p.m. and on Monday at 7:30 p.m. Visit wstshows.com for more information. 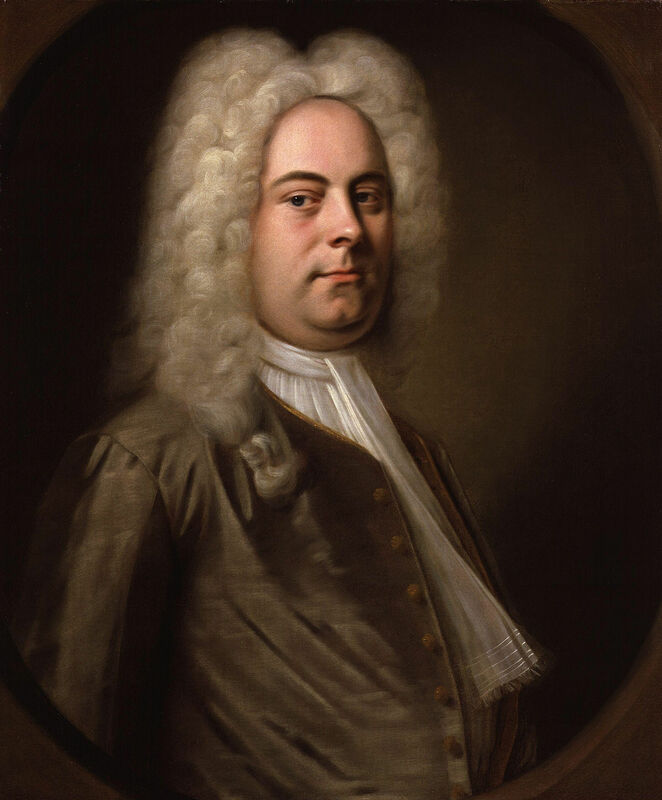 The Reformed Church of Bronxville (180 Pondfield Road, Bronxville) will hold its annual performance of Handel’s Messiah at 4 p.m. The performance will be led by four professional soloists from The Chancel Choir, along with the chamber orchestra featuring professionals and student musicians from Bronxville High School. Visit reformedchurch.org for more information. The Westchester Reform Temple (255 Mamaroneck Road, Scarsdale) will host “Israel Conversation: Where are the Maccabees?” at 12:30 p.m. Visit wrtemple.org for more information. The Bartow-Pell Mansion Museum (895 Shore Road, Pelham Bay Park) will host “Bartow’s Literary Elevenses” from 10-11:30 a.m. Museum guides Laura DeRiggi and Caitlyn Sellar will lead an historical-fiction book club. Visit bartowpellmansionmuseum.org for more information. The St. Paul’s Church and National Historic Site (897 South Columbus Avenue, Mount Vernon) will participate in Wreaths Across America honoring military members who are buried on site at St. Paul’s in a noon ceremony. Visit nps.gov/sapa for more information. GirlAgain (4 Martine Avenue, White Plains) will host a “Holiday Tote Craft Project” at 11 a.m. Make and decorate a doll-sized holiday purse for your American Girl doll. Visit girlagain.com for more information. Twisted will perform at Growlers Beer Bistro (25 Main Street, Tuckahoe) at 9:30 p.m. Visit growlersbeerbistro.com for more information. Chabad of Bronxville will be hosting a VIP Chanukah Reception in The Wine Cellar at The Tapp House (16 Depot Square, Tuckahoe) at 7 p.m. There will be menorah lighting, a latke bar, donuts and a comedy show. Visit jewishbronxville.com for more information. Alvin & Friends Restaurant (14 Memorial Highway, New Rochelle) will hold its annual Holiday Boutique, featuring gifts from a variety of unique vendors, from noon-4 p.m. There will also be a Christmas craft corner where children can create doorstops for local seniors. All proceeds will go to WestCOP. The Peter Hand Trio will perform from 7:30-11 p.m. Visit alvinandfriendsrestaurant.com for more information. The Westchester Italian Cultural Center (One Generoso Pope Place, Tuckahoe) will host Tombola Night from 7-9 p.m. Play the classic Italian game while enjoying wine and desserts. There will be raffles and more. Visit wiccny.org for more information. The Scarsdale Library (54 Olmstead Road, Scarsdale) will host “Local Artist and Author Day” from 10 a.m.-2 p.m. More than a dozen local artists and authors will be on hand to discuss their work. Visit scarsdalelibrary.org for more information. The Songcatchers 23rd annual Concert for Peace will take place at The College of New Rochelle Chapel (29 Castle Place, New Rochelle) at 4:30 p.m. Call (914) 654-1178 or e-mail songcatchers@gmail.com for more information. The Reformed Church of Bronxville (180 Pondfield Road, Bronxville) will present The Christmas Handbell Concert at 4 p.m. There will be three handbell choirs, comprised of 40 ringers of all ages who will perform traditional and contemporary carols with bells, organ and congregational singing. Visit reformedchurch.org for more information. The Grace Baptist Church (52 South 6th Avenue, Mount Vernon) will present Handel’s Messiah featuring the Grace Cathedral Choir and the Grace Christmas Orchestra at 6 p.m. Visit gracechurchtoday.org for more information. The Community Unitarian Universalist Congregation at White Plains (468 Rosedale Avenue, White Plains) will present a Winter Chorale Concert featuring Vivaldi’s “Gloria” and other seasonal favorites at 12:30 p.m. Visit cucwp.org for more information. Chabad of Pelham will host “A Chanukah Magical Spectacular” at The Daronco Townhouse (20 Fifth Avenue, Pelham) from 4-5:30 p.m. Devonte Magic will perform. There will also be a photo booth, food, games and more. Visit chabadpelham.com for more information. The Pelham Jewish Center (451 Esplanade, Pelham) will host a Hanukkah Celebration, featuring The Dreamcoat Experience, from 1-3:00 p.m. Visit thepjc.org for more information. The Symphony of Westchester will perform an All-Baroque Concert, featuring concertmaster Alexander Abayev performing Antonio Vivaldi’s The Four Seasons, at 3 p.m. in Iona College’s Murphy Auditorium (715 North Avenue, New Rochelle). Visit thesymphonyofwestchester.org for more information. The Scarsdale Synagogue Temples Tremont and Emanu-El (2 Ogden Road, Scarsdale) will host “The Parents Circle For Non-Jewish Parents Raising Jewish Children” at 9:30 a.m. This month’s topic is “How to do Chanukah”. Visit sstte.org for more information. 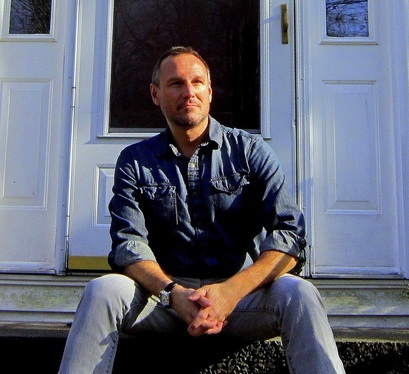 The Scarsdale Library (54 Olmstead Road, Scarsdale) will host “The Scarsdale Writer’s Center Festival of Writing” from 11:30 a.m.-3:30 p.m. More than two dozen local writers will read from their work. Visit scarsdalelibrary.org for more information. *Chanukah and Hanukkah are both accepted spellings for the holiday. The holiday season is almost here so before experiencing all the hustle and bustle, take some time this weekend to enjoy all the wonderful things to do and see in the cities, towns and villages of the 88th Assembly District. Here’s a closer look at some of the events that are taking place. Remember that if you have an event that you’d like me to include in the coming weeks, send the information to Paulina@NYAssembly.gov. The Beth-El Synagogue Center (1324 North Avenue, New Rochelle) will host Rabbi David Schuck and Rabbi Zach Sitkim along with Dr. Carol Diament for a 9:30-a.m. discussion that will compare Jerusalem in biblical and rabbinical sources with Jerusalem in modern Israeli literature. Visit bethelnr.org/limmud for more information. The Scarsdale Farmer’s Market will conclude for the season from noon-7 p.m. in Boniface Circle (Scarsdale). Contact Susan Douglass at susandouglass@gmail.com for more information. The Westchester Chess Club will meet at The Trinity Lutheran Church (25 Crane Road, Scarsdale) at 7:30 p.m. Visit westchesterchessclub.com for more information. The City of New Rochelle will host its Senior Citizen Thanksgiving Luncheon from 11 a.m.- 2 p.m. at The Hugh Doyle Senior Center (94 Davis Avenue, New Rochelle). The lunch is free but you must register to attend. Visit newrochelleny.com for more information. The Westchester Reform Temple (255 Mamaroneck Road, Scarsdale) will host a Lunch and Learn with award-winning author Ayelet Tsabari at noon. She will discuss the influence that her upbringing as an Israeli-Canadian born of a Yemenite Jewish family has on her writing. Visit wrtemple.org for more information. The Scarsdale Forum will hold its annual meeting at 8 p.m. in the Scarsdale Library (54 Olmstead Road, Scarsdale). Scarsdale School Superintendent Dr. Thomas Hagerman and Scarsdale Board of Education member Bill Natbony will address issues regarding the district and answer questions. Visit scarsdaleforum.com for more information. The White Plains Performing Arts Center (11 City Place, White Plains), in conjunction with the Westchester Sandbox Theater, will present “Willy Wonka, Jr.” at 7 p.m. on Thursday, on Saturday at 10 a.m. and on Sunday at 10:30 a.m., 1 p.m., 4 p.m. and 6:30 p.m. Visit wppac.com for more information. The Westchester County Mobile Metro-Card Van will be at The White Plains Galleria Mall (Main Street and Martin Luther King Boulevard) from 2-3:30 p.m. to assist riders interested in purchasing MetroCards. Visit westchestergov.com for more information. The Sarah Lawrence College Performing Arts Center Suzanne Werner Wright Theatre (1 Mead Way, Bronxville) will host “You For Me For You”, the story of North Korean sisters who defect and must find their way in the free world, at 7 p.m. There will also be shows on Friday at 7 p.m. and Saturday at 3 p.m. Visit sarahlawrence.edu for more information. Clare Davies, the first curator of Middle Eastern Contemporary Art at The Met, will speak at Sarah Lawrence College from 6-7:30 p.m. about the job of finding contemporary artists from the Middle East, North Africa, and Turkey for the Metropolitan Museum collection, and will discuss some of The Met’s most recent acquisitions. Visit sarahlawrence.edu for more information. Yan Kjar will man the piano bar at Underhills Crossing (74.5 Pondfield Road, Bronxville) from 7-11 p.m. Visit underhillscrossing.com for more information. The Bronxville Library (201 Pondfield Road, Bronxville) will host its Thursday Matinee Movie Series with a 1:30 presentation of “How To Be A Latin Lover”. Visit bronxvillelibrary.org for more information. The New Rochelle Down to Earth Farmer’s Market will take place at Huguenot Park at the corner of North Avenue and Eastchester Road at 8:30 a.m. and will stay open until 2:30 p.m. There will be produce, baked goods, cheese and more. Visit downtoearthmarkets.com for more information. The League of Women Voters of New Rochelle will host a “Coffee and Conversation” with Jerry Bermingham, the executive vice president of development and acquisitions for Watermark Pointe, at 9:30 a.m. in the New Rochelle Public Library (1 Library Plaza, New Rochelle). He will be discussing the new development planned for the tip of Davenport Neck. Visit nrpl.org for more information. The Bronxville Women’s Club (135 Midland Avenue, Bronxville) will continue The BWC Coffeehouse Music Series at 8:00 p.m. Check out great local musicians hosted by Al Hemberger. Visit bronxvillewomensclub.org for more information. The Woman’s Club of White Plains (305 Ridgeway, White Plains) will host “A Book and Author Luncheon with Mary Beth Keane”, who penned Fever and The Walking People, at noon. Visit womansclubofwhiteplains.org for more information. 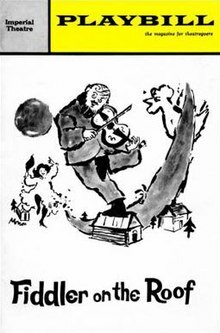 The Scarsdale Drama Club will present “Fiddler on the Roof” at Scarsdale High School (1057 Post Road Scarsdale) with performances at 7:30 p.m. on Friday and Saturday and 2 p.m. on Sunday. Visit https://www.eventbrite.com/e/fiddler-on-the-roof-tickets-37734932198 for tickets and more information. The White Plains Performing Arts Center (11 City Place, White Plains) will present “Girls Night, The Musical” at 8 p.m. Visit wppac.com for more information. The Westchester Knicks of the NBA Developmental League will take on the Greensboro Swarm in a 7-p.m. contest at The Westchester County Center in White Plains. Visit countycenter.biz for more information. The Junior League of Central Westchester will host its 31st annual Holiday Boutique at The Scarsdale Golf Club (Club Way, Hartsdale) from 9 a.m.-9 p.m. Visit jlcentralwestchester.org for more information. Scarsdale Synagogue Temple Tremont and Emanu-El (2 Ogden Road, Scarsdale) will host Tzedek Shabbat at 8 p.m. This service will be organized around combining social justice with prayer. This week’s installment will focus on preventing gun violence in America. The program will include information about current concerns as our prayers focus on how Jewish Tradition promotes peace and healing. Contact Karen Chapro at socialaction@sstte.org for more information. Jazz pianist Donburn Wint will perform at Alvin & Friends Restaurants (14 Memorial Highway, New Rochelle) from 7-10:30 p.m. Visit alvinandfriendsrestaurant.com for more information. Mark Toback will man the piano bar at Underhills Crossing (74.5 Pondfield Road, Bronxville) from 6-10 p.m. Visit underhillscrossing.com for more information. The Friends of Eastchester Public Library Tag Sale will take place at Eastchester Library (11 Oakridge Place, Eastchester) on Friday and Saturday from 9:30 a.m.-4:30 p.m., on Sunday from 1:30-4:30 p.m. and Monday from 9:30 a.m.-2 p.m. Visit eastchesterlibrary.org for more information. 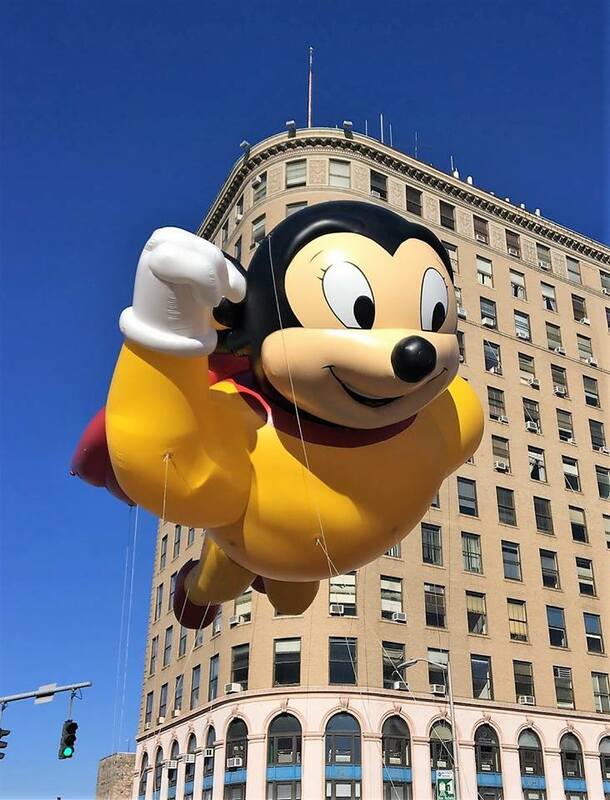 The 54th annual New Rochelle Thanksgiving Parade will take place at 10 a.m. The parade will proceed on North Avenue from Eastchester Road to Main Street and Maple Avenue. Visit newrochelleny.com for more information. The New Rochelle Fund for Educational Excellence pancake breakfast will take place at New Rochelle High School (North and Braemer Avenues, New Rochelle) and will precede the parade from 8-9:30 a.m. Visit nredfund.org for more information. St. Paul’s Church and National Historic Site (897 South Columbus Avenue, Mount Vernon) will host Professor Richard S. Fogarty of SUNY Albany as he discusses the challenges of America and World War I. Visit www.nps.gov/sapa for more information. The Bronxville Farmer’s Market will take place at Stone Place and Paxton Avenue from 8:30 a.m.-1 p.m. Visit bronxvillefarmersmarket.com for more information. The Bartow-Pell Mansion Museum (895 Shore Road, Pelham Bay Park) will host a pair of events. The Bartow’s Literary Elevenses will meet at 10 a.m. with museum guides Laura DeRiggi and Caitlyn Sellar leading the historical-fiction book club on an adventure regarding the book, “Marrying An English Lord”. Beyond the Oak Tree Treaty – Part IV will take place at 2 p.m. as part of Native American Heritage Month. Multicultural speaker, storyteller and poet Bobby González will lead the discussion. Visit bartowpellmansionmuseum.org for more information. The Playgroup Theatre (One North Broadway, White Plains) will present Arthur Miller’s “The Crucible” at 8 p.m. and again on Sunday at 2 p.m.Visit playgroup.org for more information. 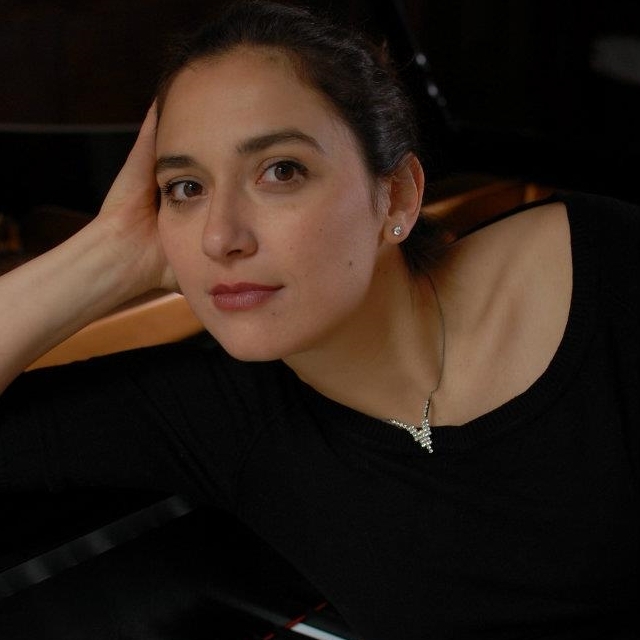 The Bronxville Women’s Club (135 Midland Avenue, Bronxville) will host pianist Margarita Schevchenko at 7:30 p.m. as part of The Midland Music Series. Visit bronxvillewomensclub.org for more information. The New York Reading Foundation will host “A Night on the Town” at Mulino’s at Lake Isle Country Club (660 White Plains Road, Eastchester) from 7 p.m.-midnight. There will be live entertainment, food and a casino with the proceeds going to benefit Archbishop Stepinac High School in White Plains. Visit nyreadingfoundation.org for more information. The White Plains Performing Arts Center (11 City Place, White Plains) will present “Ask Your Mama: 12 Moods For Jazz” by The Langston Hughes Project at 8 p.m. Visit wppac.com for more information. GirlAgain (4 Martine Avenue, White Plains) will host Kit’s Thanksgiving Cornucopia Workshop at 11 a.m. Visit girlagain.com for more information. Alex Cano will perform at Growlers Beer Bistro (25 Main Street, Tuckahoe) at 9:30 p.m. Visit growlersbeerbistro.com for more information. The Westchester County Mobile Shredder will be in Bronxville on Palumbo Place behind Village Hall from 10 a.m.-1 p.m. Visit westchestergov.com for more information. Mike LaMassa will man the piano bar at Underhills Crossing (74.5 Pondfield Road, Bronxville) from 8-11:55 p.m. Visit underhillscrossing.com for more information. The Westchester Board of Rabbis and the Westchester Jewish Council will present “A Night of Jewish Learning and Celebration” at 7:30 p.m. at The Beth-El Synagogue Center (1324 North Avenue, New Rochelle). There will be food, music and more. Visit wjcouncil.org for more information. The St. Thomas Orchestra’s 15th annual Fall Concert will take place at White Plains High School (550 North Street, White Plains) from 7:30-9:30 p.m. Visit storchestra.com for more information. The 30th Anniversary Visionary Gala presented by The African-American Men of Westchester will take place at Glen Island Harbour Club (299 Weyman Avenue, New Rochelle) from 7-11:30 p.m. Visit https://www.eventbrite.com/e/30th-anniversary-visionary-gala-aamw-tickets-36948611291 for more information. The ArtsWestchester Gala will take place from 6-11 p.m. at The Ritz-Carlton, Westchester (3 Renaissance Square, White Plains). The event will honor the innovators and builders who are working on the Governor Mario M. Cuomo Bridge. Visit artswestchester.org for more information. The Tuckahoe Farmer’s Market will take place in Depot Square. The market is open every Sunday through the end of November from 10 a.m.-4 p.m. Visit tuckahoe.com for more information. The New Rochelle Council on the Arts will premiere its documentary “40 Years of Making Music: The Story of Songcatchers” at 3 p.m. at the Ursuline Performing Arts Center (1354 North Avenue, New Rochelle). There will be a musical performance and reception to follow. Visit songcatchers.org for more information. The Reformed Church of Bronxville (180 Pondfield Road, Bronxville) will host a 3 p.m. performance by The Chancel and Community Choir. Under the direction of Dr. Sándor Szabó, Minister of Music, the choir will perform Gabriel Fauré’s Requiem. Visit www.reformedchuch.org for more information. Members of The Bronx Opera Company will give a 2-p.m. performance at The Bartow-Pell Mansion Museum (895 Shore Road, Pelham Bay Park). Visit bartowpellmansionmuseum.org for more information. The Westchester Knicks of the NBA Developmental League will take on the Lakeland Magic in a 3-p.m. contest at The Westchester County Center in White Plains. Visit countycenter.biz for more information. Joy Ladin will present “Meet Me at the Intersection of Trans and Jewish Identity” at 6 p.m. in the Sarah Lawrence College Titsworth Marjorie Leff Miller Lecture Hall (1 Mead Way, Bronxville). Ladin explores being trans and Jewish, speaking from her own personal experiences. Visit sarahlawrence.edu for more information. Come to Kids’ Kloset, which is run by the Westchester Jewish Community Services, will be sorting and folding clothing donations at Kids’ Kloset (170 East Post Road, White Plains) from 11 a.m.-1 p.m. Visit jteenleadership.org for more information. March has finally arrived and hopefully winter is finally behind us. Get out and enjoy the warmer weather in the cities, towns and villages of the 88th Assembly District. Elizabeth Kemble, the founder of Travellati Tours, will discuss the places frequented by famed author Ernest Hemingway while he was in France, highlighted by the café in which he wrote the Sun Also Rises, at the Pelham Library (530 Colonial Avenue, Pelham) at 7 p.m. This event was originally scheduled for earlier in the month but was postponed because of snow. Visit pelhamlibrary.org for more information. Rabbi Geoffrey A. Mitelman, the Founding Director of Sinai and Synapses, will speak at The Westchester Reform Temple (255 Mamaroneck Road, Scarsdale) at 7:15 p.m. about the interconnectivity between religion and science. Visit wrtemple.org for more information. 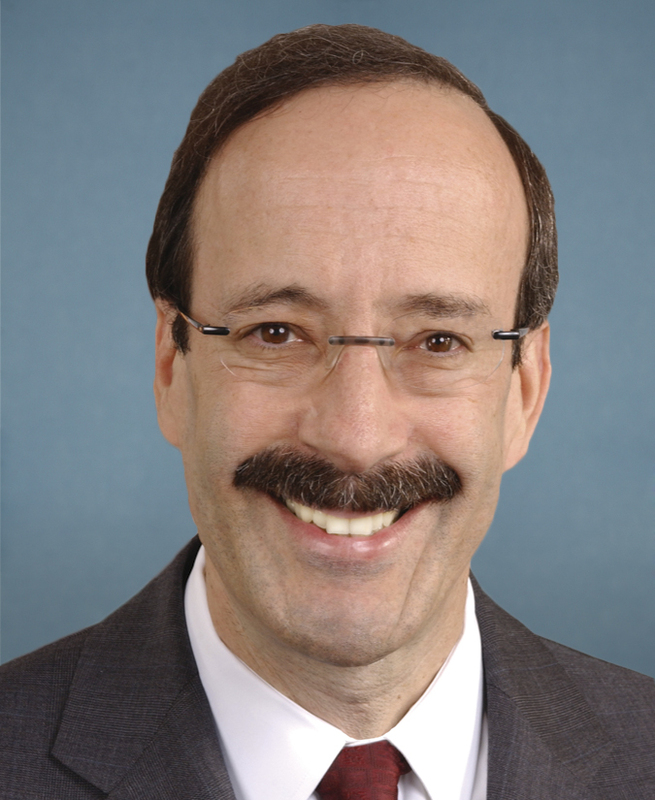 Congressman Eliot Engel will speak at the Scarsdale Forum at 7:30 p.m. in the Scott Room of the Scarsdale Library (54 Olmstead Road, Scarsdale). Visit scarsdaleforum.com for more information. Sarah Lawrence College (1 Mead Way, Bronxville) will host “An Artist’s Talk: The Enslaved African Rain Gardens Project” at 6 p.m. Visit sarahlawrence.edu for more information. Jazmyn returns to Alvin & Friends Restaurant (14 Memorial Highway, New Rochelle) for First Friday. She will perform from 7-11 p.m. Visit alvinandfriendsrestaurant.com for more information. The Boys and Girls Club of New Rochelle will host the Be Great 2017 Dinner Dance at The Surf Club on the Sound (280 Davenport Avenue, New Rochelle) at 7 p.m. There will be cocktails, dinner, dancing as well as live and silent auctions. Adults only please. Visit bgcnr.org for more information. Sarah Lawrence College (1 Mead Way, Bronxville) will host a Spring Open Dance Performance at 7:30 p.m. Students will perform originally choreographed pieces. Visit sarahlawrence.edu for more information. 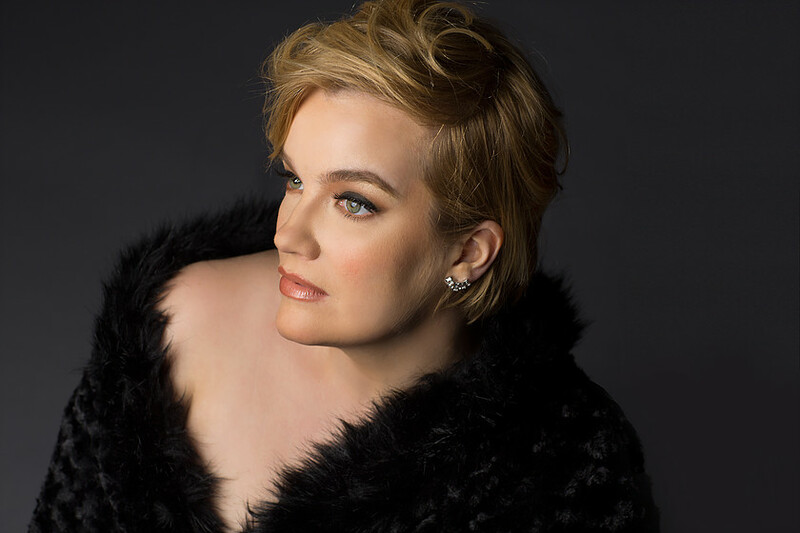 The Manor Club (1023 Esplanade, Pelham) will host “Broadway On The Esplanade” at 8 p.m. Tony Award-nominated Broadway star Jennifer Damiano will perform. Visit themanorclubofpelham.org for more information. The Picture House (175 Wolfs Lane, Pelham) will host “Improv and Sketch Comedy”, performed by Pelham Middle and High Schoolers, at 1:30 p.m. Visit thepicturehouse.org for more information. The Pelham Arts Center (155 Fifth Avenue, Pelham) will host Andean Carnavales, including a traditional Peruvian musical performance, at 2 p.m. Visit pelhamartcenter.org for more information. The Temple Israel Center (280 Old Mamaroneck Road, White Plains)will host its annual Gala and Fundraiser at 8 p.m. This year’s honorees are Pam and Bruce Wexler. The Young Leadership Award recipients are Diana and Craig Sklar while the Special Tribute recipient is Nancy Parkes. Visit templeisraelcenter.org for more information. The Thomas Paine Cottage (20 Sicard Avenue, New Rochelle) will host “The Women’s Right To Vote”, a lecture by Sydelle Herzberg, the treasurer and historian for the New York State League of Women Voters, at 2 p.m. Visit thomaspapinecottage.org for more information. ArtsWestchester (31 Mamaroneck Avenue, White Plains) will present “Rhythms, Songs, & Dances of Puerto Rico with Los Pleneros de la 21”, an intergenerational ensemble, at 7:30 p.m. Visit artswestchester.org for more information. Concordia College (171 White Plains Road, Bronxville) will host “Musical Adventures: The Animal Estates”, a family-friendly show, at 11 a.m. Visit concordiaconservatory.org for more information. The Pelham High and Middle School Student Political Activism Club will conduct a “March for America” from 2-4 p.m. in an effort to celebrate American rights and values. Marchers will meet at Pelhamdale Park. I am one of the invited guests. I will be speaking and marching and look forward to seeing you there. Email pelhammarchforamerica@gmail.com for more information. The Beth-El Synagogue Center (1324 North Avenue, New Rochelle) will host a Purim carnival from 11 a.m.-1:30 p.m. Visit bethelnr.org for more information. The New Choral Society will present “Petite Messe Solennelle” in a 3 p.m. concert at The Hitchcock Presbyterian Church (6 Greenacres Avenue, Scarsdale). Soprano Amy Shoremount-Obra, mezzo-soprano Margaret Lattimore, tenor David Portillo and baritone Hyung Yun are scheduled to perform. Visit newchoralsociety.org for more information. Pianist Byron Janis will perform at The Hoff-Barthelson Music School (25 School Lane) as part of the Master Class Series from 2-4 p.m. Visit hbms.org for more information. Cellist Peter Seidenberg will perform at The Greenville Community Church (270 Ardsley Road, Scarsdale) at 5 p.m. as part of the Hoff-Barthelson Music School Artist Series. Visit hbms.org for more information. The NRCA Variety Showcase will take place at The Ossie Davis Theater in the New Rochelle Library (1 Library Plaza, New Rochelle) at 3:30 p.m. Visit nrpl.org for more information. HOLI: A Traditional Hindu Celebration of Spring will take place at The White Plains Library 100 Martine Avenue, White Plains) from 2-4 p.m. Visit whiteplainslibrary.org for more information. Adam Levin, who wrote “Swiped”, will discuss how to deal with identity theft at the Scarsdale Library (54 Olmstead Road, Scarsdale) at 2 p.m. Visit scarsdalelibrary.org for more information. The first weekend of June has arrived and there’s no better way to enjoy it than to spend it in the 88th Assembly District. There are festivals, music and a soapbox derby that will highlight your weekend. The League of Women Voters of New Rochelle will hold their annual meeting at 6 p.m. at Ground Floor Co-Working (547 North Avenue, New Rochelle). New members are welcome. Visit watpa.org/lwv/newrochelle/ for more information. The League of Women Voters Annual Convention will take place at the Scarsdale Women’s Club (37 Drake Road, Scarsdale) beginning at 12:30 p.m. Michael Waldman, the president of the NYU Brennan Center for Justice, will be the guest speaker. Call 914-723-5126 for more information. 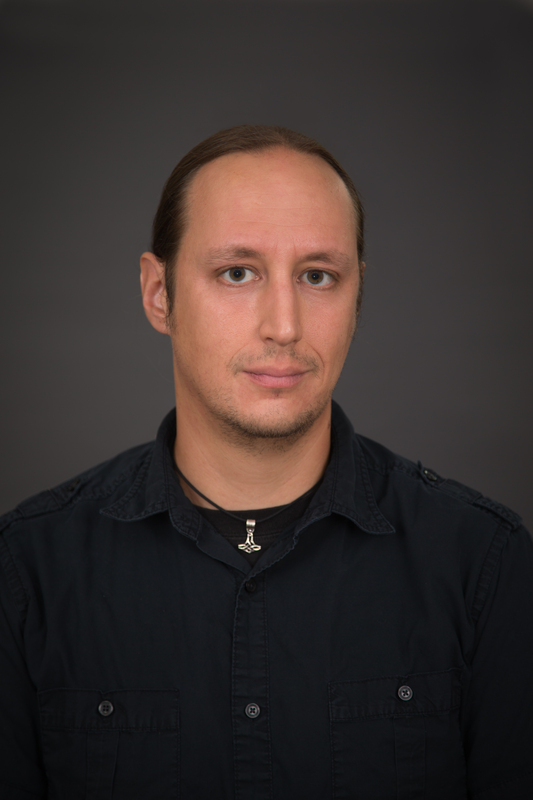 The St. Paul’s Church National Historic Site (897 South Columbus Avenue, Mount Vernon) will host a 7-p.m. lecture by Monmouth University’s Prof. Adam Heinrich, who will explore the different understandings and meanings of symbols such as angels on 18th century gravestones. Visit nps.gov/sapa for more information. The Immaculate Conception School (53 Winter Hill Road, Tuckahoe) will host its annual ICS Carnival, a four-day event that features rides, games, food and much more. The carnival begins at 6 p.m. on Thursday and Friday and at 1 p.m. on Saturday and Sunday. Visit icsschoolonline.org for more information. The Israeli Film Festival, a weeklong celebration, will kick off with a 7 p.m. showing of “Kind Words” at the JCC of Mid-Westchester (999 Wilmot Road, Scarsdale). Visit jccmw.org/adults/arts-and-talks/israel-film-festival/ for more information. The New Rochelle Council on the Arts will begin its “Pop-Up Performances” at the New Rochelle Train Station from 5:30-7 p.m. The concerts will run every Thursday through Aug. 25. Visit newrochellearts.org for more information. New York State Education Department Regent Judith Johnson will be the featured speaker at The Scarsdale Forum, which will take place at the Scarsdale Library (54 Olmstead Road) at 7:30 p.m. Visit scarsdaleforum.com for more information. 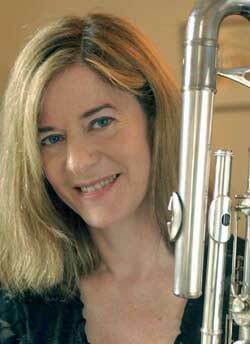 The St. Paul’s Church National Historic Site (897 South Columbus Avenue, Mount Vernon) will host a 3:30-p.m. concert by flutist Pamela Sklar. Visit nps.gov/sapa for more information. The Village of Bronxville and the Bronxville Chamber of Commerce will host the annual Sidewalk Sale and Street Fair on Friday and Saturday. The Sidewalk Sale begins on Friday and continues Saturday while the Fair is scheduled only for Saturday in the Kraft Avenue, Garden and Avalon parking lots. Visit bronxvillechamber.com for more information. The Bartow-Pell Mansion Museum (895 Shore Road, Pelham Bay Park) will host its “First Friday Music & Trolley” program from 5:30-8:30 p.m. The Night Owls, an instrumental piano group, will perform while the trolley will make hourly trips from the #6 Pelham Bay Park subway station. Visit bartowpellmansionmuseum.org for more information. Alvin & Friends Restaurant (14 Memorial Highway, New Rochelle) will host Faberration, a rock and soul group, from 7-10 p.m. Visit alvinandfriendsrestaurant.com for more information. The New Rochelle Public Library will host its “Friends Monthly Big Book Sale” from 9 a.m.-3 p.m. on Friday and Saturday. Visit nrpl.org for more information. The Friends of the Tuckahoe Library will present a concert by The New Westchester Symphony Orchestra at the Tuckahoe Community Center (71 Columbus Avenue, Tuckahoe) at 2 p.m. Admission is free. There will be refreshments, raffles and a Chinese Auction. Visit tuckahoelibrary.org for more information. The City of New Rochelle will host its first annual Senior Expo from 10 a.m.-2 p.m. at The Hugh Doyle Senior Center (94 Davis Avenue, New Rochelle). The expo will feature more than 50 exhibitors and representatives from state and local government agencies. Visit newrochelleny.com for more information. The White Plains Outdoor Art Festival, which began in 1962, will take place at Tibbits Park (One North Broadway, White Plains) on Saturday and Sunday from 10 a.m.-5 p.m. There will be paintings, photography, ceramics and more. 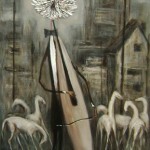 Visit whiteplainsoutdoorartsfestival.com for more information. The Music Conservatory of Westchester (216 Central Avenue, White Plains) will host an open house for its summer music and arts program from 10 a.m.-1 p.m. during which parents can meet staff and discuss programs that would interest their children. Visit summeratmcw.org for more information. The thrift shop at White Plains Presbyterian Church (39 North Broadway, White Plains) will be open from 9:30-1 p.m. All proceeds will go to local philanthropies. Visit womansclubofwhiteplains.org for more information. Dance En Plein Air returns for another season at the New Rochelle Library’s Ruby Dee Plaza (1 Library Lane, New Rochelle) from 9 a.m.-2 p.m. The program runs on Saturday through Aug. 20. New Beginnings Performing Arts Company, directed by Kyra Johnson, will perform this week. Visit newrochellearts.org for more information. The Pelham Art Center (155 Fifth Avenue, Pelham) will host a Traditional Folk Arts Festival at 2 p.m. There will be a performance by the acoustic duo Piedmont Bluz. Visit pelhamartcenter.org for more information. The Pelham Preservation and Garden Society will host its annual fundraiser from 7-10 p.m. at the historic home of Cynthia and David Brown on 134 Cliff Avenue in Pelham Heights. Visit pelhampreservationsociety.com for more information. The Loft LGBT Community Center (252 Bryant Avenue, White Plains) will host the 2016 Pride Outdoor Festival from noon-5 p.m. There will be food, music, talent shows and more. Call 914-948-2932 for more information. The New Rochelle Downtown BID’s Grand Market returns for the season at The New Rochelle Library’s Ruby Dee Green from 11 a.m.-noon. Sample fresh and artisanal foods from around the area. Visit newrochellegrandmarket.com for more information. White Plains Comic Con will take place at the White Plains Library (100 Martine Avenue, White Plains) in an all-day comic extravaganza for fans of all ages. Visit whiteplainslibrary.org for more information. The Bronxville Library (201 Pondfield Road, Bronxville) will be collecting books for its ongoing library book sale from 10 a.m.-noon. Visit bronxvillelibrary.org for more information. 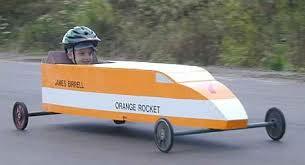 The New Rochelle Soap Box Derby will take place at 9 a.m. on Quaker Ridge Road between Sussex Road and Pinebrook Boulevard in front of Ward Acres Barn. Sign-up and weigh in will take place on Saturday from 10 a.m.-2 p.m. at Ward Acres. Visit soapboxderby.org/new-rochelle.aspx for more information. The 62nd annual Beth-El Synagogue Gala (1324 North Avenue, New Rochelle) will take place from 5:30-10:30 p.m. Dr. Elise and Barry Richman will receive the distinguished leadership and devoted service award while Shery and Howard Rosenstein will receive the president’s service award. Visit bethelnr.org for more information. The Play Group Theatre (One North Broadway, White Plains) will present “Zanna, Don’t: A Musical Fairy Tale” at 2 and 7 p.m. Zanna attends Heartsville High and can change the world with a wave of her wand. Visit playgroup.org for more information. Bicycle Sundays are back on the Bronx River Parkway. The BRP will be open to cyclists and pedestrian traffic between the County Center in White Plains and Scarsdale Road in Yonkers between 10 a.m. and 2 p.m. Visit westchestergov.com for more information. The Walk Now For Autism Walkathon will kick off at New York Presbyterian Hospital (333 Westchester Avenue, White Plains) at 11 a.m. Registration begins at 9 a.m. Visit autismspeakswalk.org for more information. The Bronxville Women’s Club (135 Midland Avenue, Bronxville) will host a reception and registration event for its Children’s Art Exhibition from 2-5 p.m. Visit bronxvillewomensclub.org for more information. Linda Tarrant-Reid, a nationally authorized author and photojournalist, will discuss her book “Discovering Black America” as part of An Afternoon of Arts at the St. Catherine A.M.E. Zion Church Fellowship Hall (19 Lincoln Avenue, New Rochelle). Cecelia Duncan, an art teacher and lecturer, will also host a discussion during the program that begins at 1:30 p.m. Visit newrochellearts.org for more information. Students from the Hoff-Barthelson Music School will perform in Scarsdale’s Chase Park at 5 p.m. If the weather doesn’t cooperate, the concert will be moved to the school on 25 School Lane. Visit hbms.org for more information. The Music Conservatory of Westchester (216 Central Avenue, White Plains) will host The Taconic Opera’s production of Carmen. Visit taconicopera.org for more information. We’ve hit the final weekend in February and that means spring is just around the corner. Celebrate the approaching end of winter by enjoying everything the 88th Assembly District has to offer. There are plenty of shows, musical events and programs happening in our cities, towns and villages that are sure to make your weekend more enjoyable. The St. Paul’s Church National Historic Site (897 S. Columbus Avenue, Mt. Vernon) will host “Love Songs for the Leap Year” at 2 p.m. It’s a special performance of popular and romantic songs by students from Sarah Lawrence College in Bronxville. Call David Osborn at 914-667-4116 for more information. The New Rochelle Public Library will host a “Friends Big Book Sale” from 9 a.m.-3 p.m. The library will also host a League of Women Voters Coffee & Conversation with Councilman Louis Trangucci from 9:30-11 a.m. Visit nrpl.org for more information. The County Center in White Plains will host the Section I girls and boys basketball tournaments. Check out the best high school basketball our area has to offer. Times and teams to be determined. Visit countycenterbiz.com for more information. 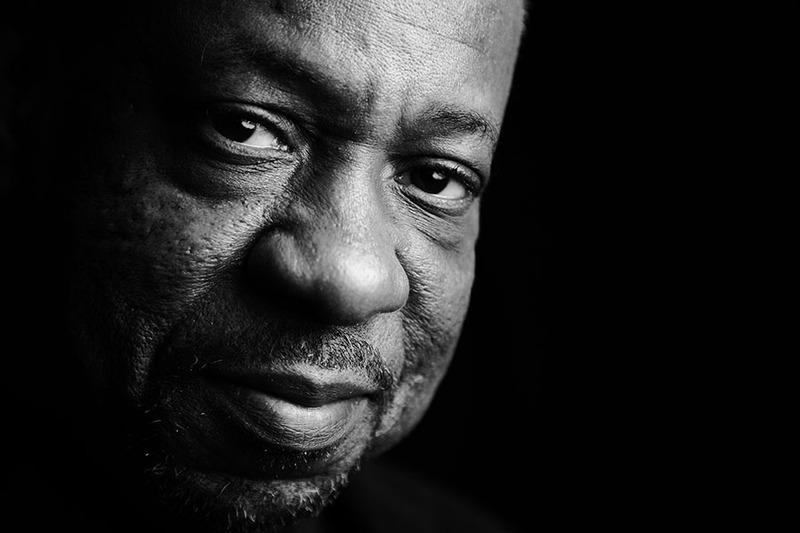 Alvin & Friends Restaurant (14 Memorial Highway, New Rochelle) will host The Onaje Allan Gumbs & Trio Plus in Roscoe’s Room from 8-11 p.m. Visit alvinandfriendsrestaurant.com for more information. The White Plains Performing Arts Center (11 City Place, White Plains) will present “I’m No Romeo, Love Can Be Funny” featuring comedian Elizardi Castro. Showtime is 8 p.m. Visit wppac.com for more information. The drama club Stepinac High School (950 Mamaroneck Avenue, White Plains) will perform “12 Angry Men” at 7:30 p.m. at the school’s Major Bowes Auditorium. Visit stepinac.org for more information. A Black History Community Celebration will take place at New Rochelle High School (265 Clove Road, New Rochelle) from 4-8 p.m. There will be a spoken word and art show, vendors, performances and much more. Visit newrochellearts.org for more information. The New Rochelle Library will host the 20th annual performance of Bokandeye African Dance and Drums at 2 p.m. as part of its Black History Month celebration. Visit nrpl.org for more information. The Music Conservatory of Westchester (216 Central Avenue, White Plains) will host a Summer Music & Arts Open House from 10 a.m.-1 p.m. Visit musicconservatory.org for more information. Rocky Middleton will perform at Alvin & Friends Restaurant in New Rochelle from 7:30-11 p.m. Visit alvinandfriendsrestaurant.com for more information. The Woman’s Club of White Plains (305 Ridgeway, White Plains) will host a White Plains Blood Drive as part of its 100 Acts of Kindness celebration. The celebration marks the club’s 100th Visit www.womansclubofwhiteplains.org for more information. 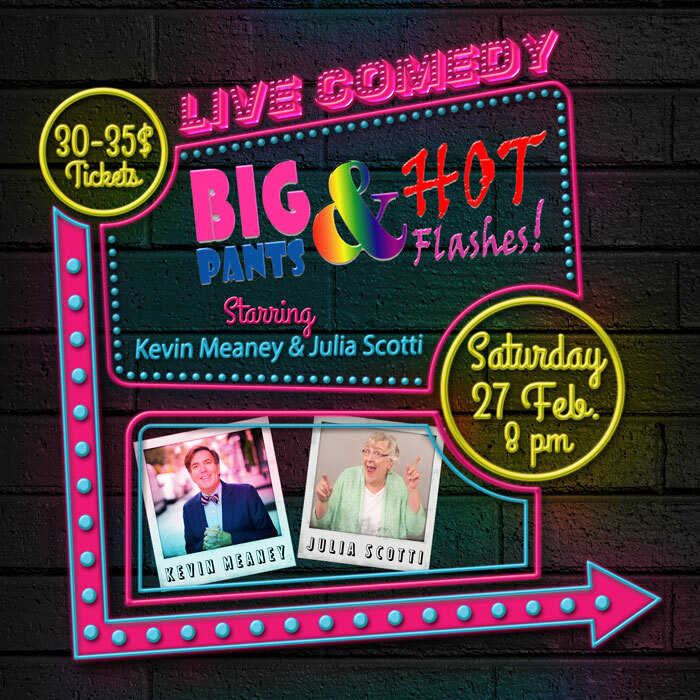 The White Plains Performing Arts Center will present “Big Pants & Hot Flashes”, starring Kevin Meaney and Julia Scotti. Showtime is 8 p.m. Visit wppac.com for more information. ArtsWestchester (31 Mamaroneck Avenue, White Plains) will host “An Evening of Argentine Tango” from 7-11 p.m. Visit artswestchester.org for more information. The Bartow-Pell Mansion Museum (895 Shore Road, Pelham Bay Park) will host poets and performers J. Mae Barizo and Kamilah Aisha Moon as they read from their respective works. The program begins at 4:30 p.m. and includes a musical interlude. Visit bartowpellmansionmuseum.org for more information. 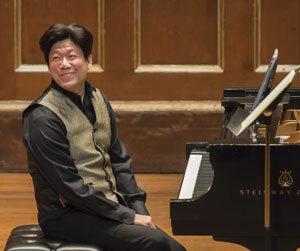 The Hoff-Barthelson Music School (25 School Lane, Scarsdale) will continue its Master Class Series with a 2 p.m. performance by pianist Meng-Chieh Liu. Visit hbms.org for more information. 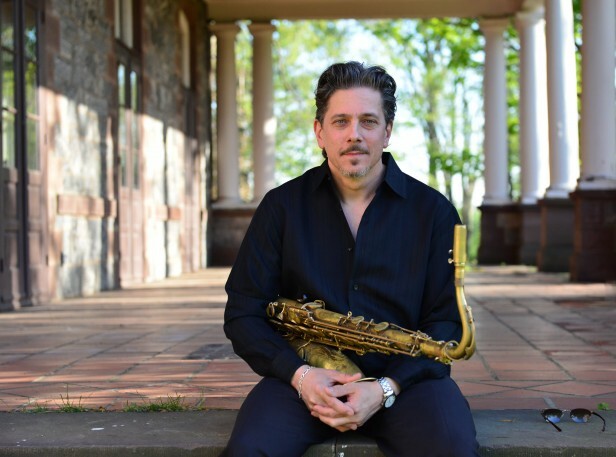 The Hoff-Barthelson Music School will also present clarinetist Daniel Spitzer as part of its HB Artist Series at the Greenville Community Church (270 Ardsley Road, Scarsdale). The program begins at 5 p.m. Visit hbms.org for more information. Becky Shaw, a play by Gina Gionfriddo, will be performed by members of the M&M Performing Arts Company at the Eastchester Library (11 Oak Ridge Place, Eastchester). Visit mmpaci.com for more information. Seventeen artists will display their work in a show entitled “Collective Conscience: Love, Respect and Truth” in the New Rochelle Council on the Arts Rotunda Gallery (515 North Avenue, New Rochelle). Visit newrochellearts.org for more information. The Scarsdale Forum will host its Sunday Speaker Series at the Scarsdale Library (54 Olmstead Road, Scarsdale) at 3 p.m. Dr. Jacob M. Appel is this week’s guest and the topic is “Ethical Dilemmas in Modern Medicine: What Everyone Needs to Know”. Visit scarsdaleforum.com for more information.